“This is by far the best moisturizer & program I have ever used. My dry skin looks amazing. 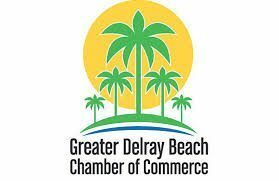 ” – Henrietta R. VIP client. Ideally used in conjunction with the Environ Step-UP vitamin series, Environ C-Quence Creme helps to take anti-aging to an advanced level. 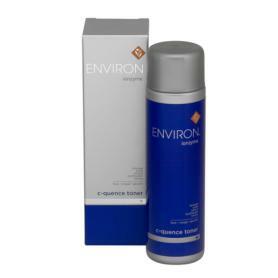 Environ C-Quence Defence Creme is ideally used with the 4 C-Quence serums in the Environ premium Vitamin STEP-UP SYSTEM. It is essential to follow the “steps” for maximum benefits. This is a cutting-edge, anti-aging skincare series. This high powered moisturizer also provides added nourishment and deep hydration to the skin when used alone. The creme is rich in antioxidants, including vitamins C and E, pro-vitamin B5, jojoba oil, green tea and rosemary extracts and lutein. And it helps in protecting collagen, which improves the elasticity of the skin. So it assists in preventing free radical damage, which helps your skin to look firm and healthy. Therefore, it helps to combat aging by increasing antioxidants in the skin. And you’ll look radiant. 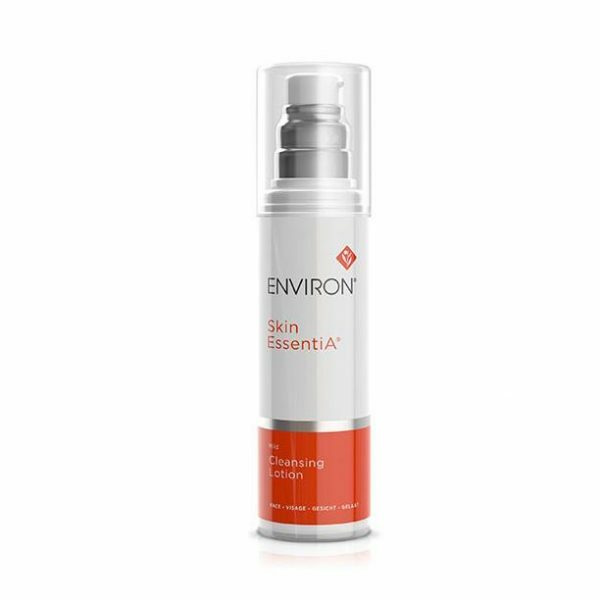 Environ C-Quence Defence Creme targets all skin types but is particularly effective on mature and aging skin. Vitamins stimulate the skin to appear radiant, healthy and refreshed. They target the obvious signs of aging. And sun damaged skin shows great improvement. The appearance of the skin changes. It looks luminous and healthy. Environ C-Quence Defence Creme is an amazing partner when used in conjunction with any Environ serum. And by following the vitamin serum STEP UP program, with such high levels of active ingredients you’ll look revitalized, radiant and more youthful. Most importantly, our estheticians at the Spa always recommend a consultation with a skin care professional prior to starting the step program. 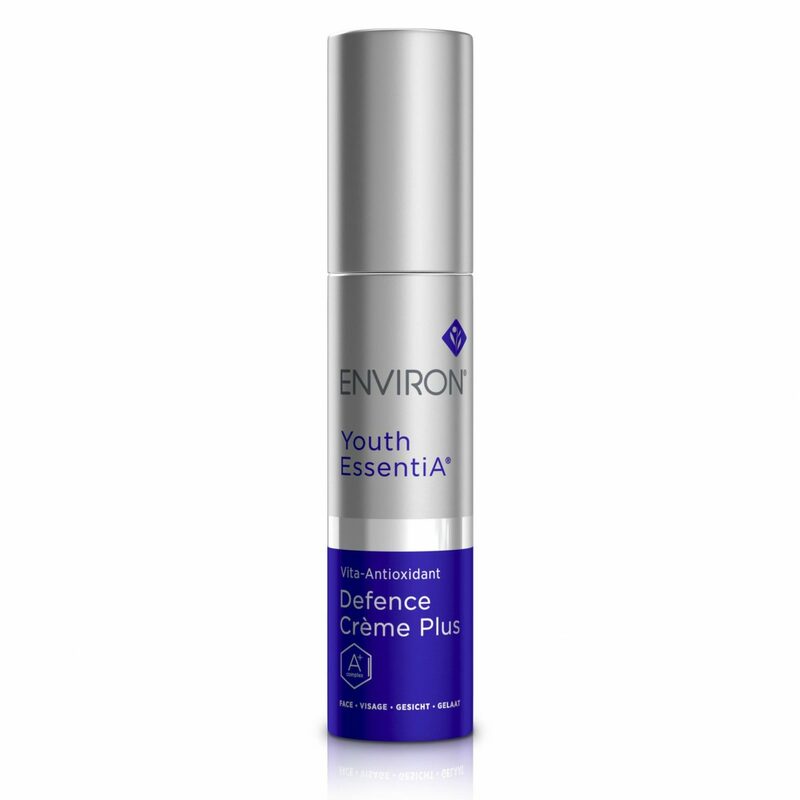 PLease see ingredient tab listing for important information about Environ C-Quence Defence Creme and Counterfeit Products. Apply Antioxidant Defence Creme over/in conjunction with your recommended Vita-Peptide C-Quence Serums 1 -4. Aqua (Water), Hydrogenated Polydecene, Pentylene Glycol, Tribehenin PEG-20 Esters, Caprylic/Capric Triglyceride, Simmondsia Chinensis (Jojoba) Seed Oil, Glycerin, Ascorbyl Tetraisopalmitate, Dimethicone, Panthenol, Tocopheryl Acetate, Squalane, Sodium Hydroxide, Acrylates/C10-30 Alkyl Acrylate Crosspolymer, Glycine Soja (Soybean) Oil, Epigallocatechin Gallate, Rosmarinus Officinalis (Rosemary) Leaf Extract, Xanthophyll, Tocopherol, Zea Mays (Corn) Oil, Helianthus Annuus (Sunflower) Seed Oil, Disodium EDTA, Cyanocobalamin, Sodium Lactate, Serine, Lactic Acid, Urea, Sorbitol, Sodium Chloride, Allantoin, Sodium Product: Environ Ionzyme C-Quence Crème (Fragrance) – Rev.3 15.12.11 Benzoate, TEA-Lactate, Sodium Citrate, Citric Acid, Maltodextrin, Parfum (Fragrance), Citronellol, Geraniol, Hexyl Cinnamal, Hydroxycitronellal.